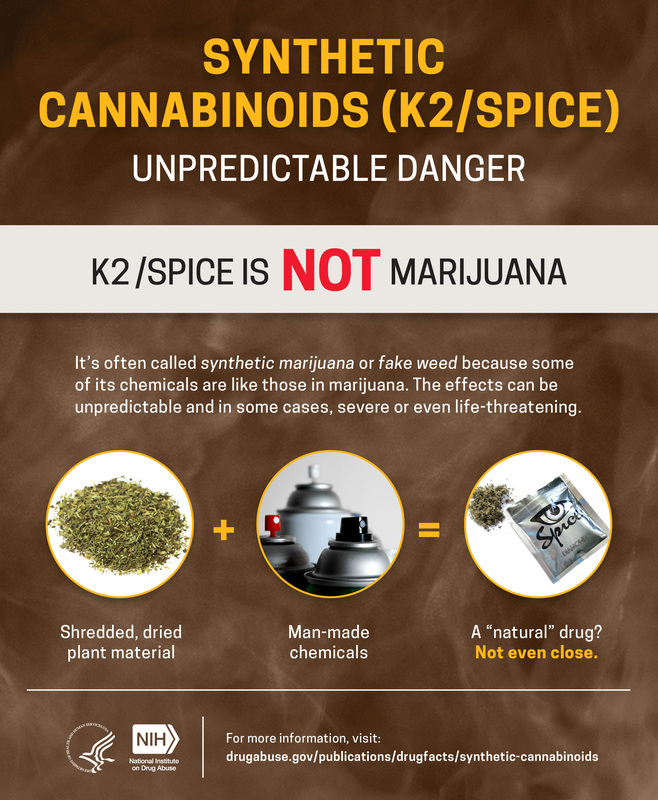 It’s often called synthetic marijuana or fake weed because some of its chemicals are like those in marijuana. The effects can be unpredictable and in some cases, severe or even life threatening. Shredded, dried plant material + man-made chemicals ≠ a “natural” drug. Second Figure: You never know what you’re getting with synthetic cannabinoids. 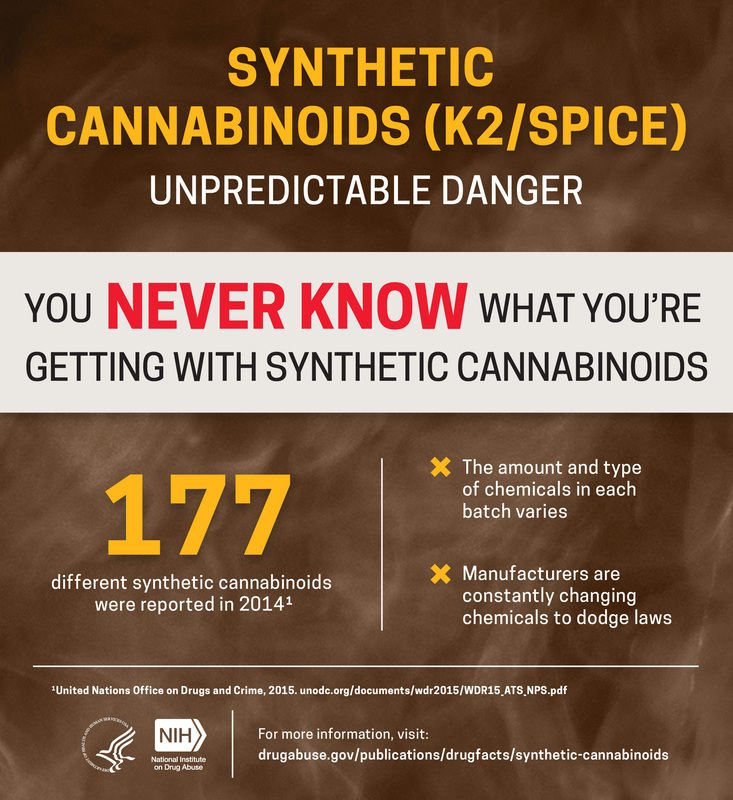 177 different synthetic cannabinoids were reported in 2014. The amount and type of chemicals in each batch varies. Manufacturers are constantly changing chemicals to dodge laws. These drugs act on many different brain cell receptors, including the receptors that bind to THC (found in marijuana). They produce unpredictable effects that can be dangerous. They can produce nausea and vomiting, rapid heart rate, suicidal thoughts, violent behavior, paranoia, and hallucination. 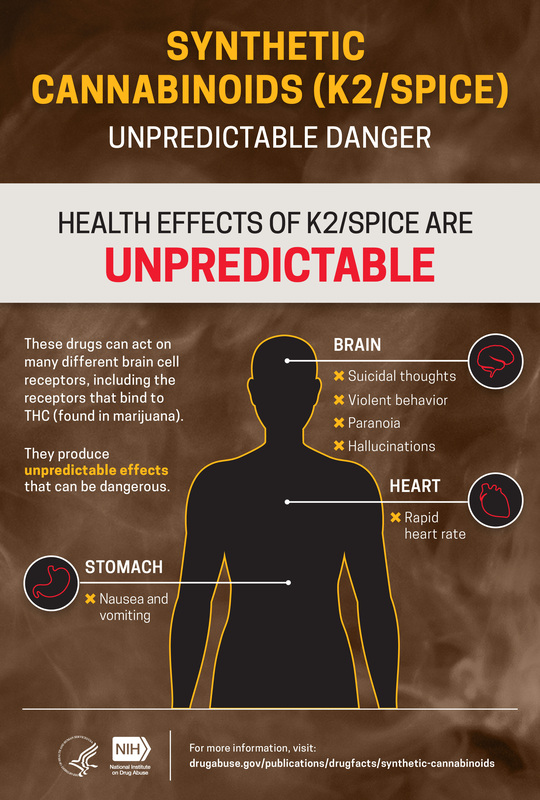 Fourth Figure: Synthetic cannabinoid use can be harmful to your health. In 2016, there were 2,695 calls to poison control centers for harmful exposure from these drugs. 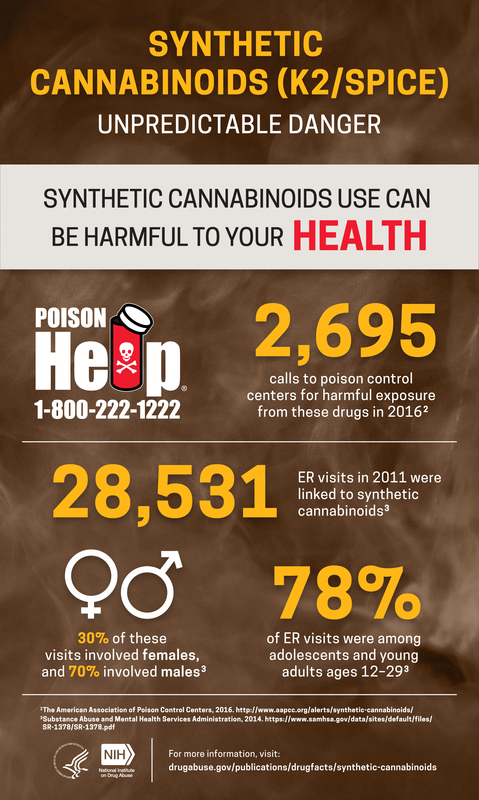 28,531 ER visits were linked to synthetic cannabinoids in 2011. 30 percent of these visits involved females and 70 percent involved males. 78 percent of these ER visits were among adolescents and young adults ages 12-29. The Poison Control Hotline is 1-800-222-1222.